NEW RELATIONS: Korean and Nepali participants at the 4th Nepal-Korea Business Night at Shanker Hotel earlier this month. In the last 60 years South Korea has turned from a recipient of foreign aid to a donor. Today, bilateral cooperation between South Korea and Nepal involves overseas development assistance, growing tourism and the role of its migrant workers in Korea becoming a major source of remittances for Nepal. KOICA (Korean International Cooperation Agency) has been extending its activities in Nepal in health, education and agriculture with an annual outlay of $13 million, while trade has grown to $50 million. 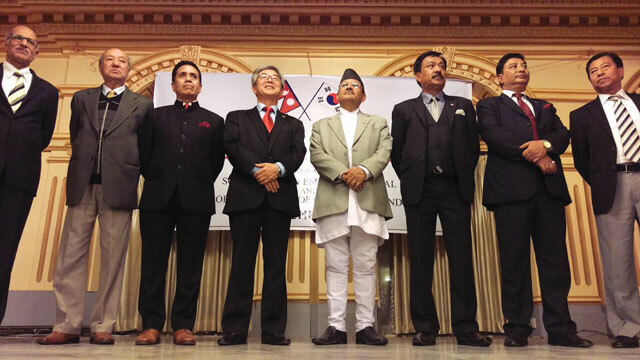 With little geostrategic interest in Nepal, Korean overseas development assistance has been more altruistic than most other bilateral help to the country. Nepal, however, is slowly changing its image in Korea as an aid recipient country to a destination for Korean investment. Korean investors are literally testing the waters to tap Nepal’s potential for investment in hydropower first through aid credit and later with commercial investment. Among the three, Chameliya hydropower project in Nepal’s far west follows the traditional ‘aid credit assistance’ category. Chameliya is a tributary of the Mahakali River on Nepal’s western border with India and is expected to boost development in the neglected region. The Korea-Nepal joint venture involves KHNP (Korea Hydro & Nuclear Power) that produces nearly one-third of Korea’s total power supply. However, the project has been plagued by delays, allegations of corruption, mismanagement and lately by the fuel crisis. Upper Trishuli 1 is a much bigger project and falls under the category of Korean ‘commercial investment’. 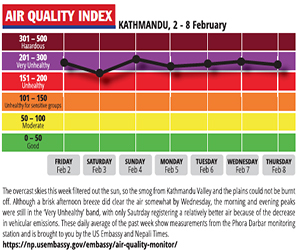 Located just 70km north of Kathmandu, the project will increase Nepal’s current electricity capacity by 20 per cent. The Korean partner is KSEP (Korea South East Power) the largest shareholder with the participation of leading Korean construction companies and a local investor. Was there a yeti in the Royal Zoo? The ascending humans, beasts and divinities are each ten times stronger than the other so that the accumulative strength protecting the temple image is enormous. Treat yourself to a fireside chat with the Abbot of the Tengboche Gompa. It is hard to accept that the democracy and openness of the Internet are illusory. But it is true.